Elan Glover Court Apartment Homes for rent in Chula Vista, CA is a beautiful resort style community that boasts lush landscaping, exotic palm trees, manicured lawns, and perfectly trimmed shrubs. While residing with us you can enjoy an award-winning nature center and numerous walking trails, or rent a boat at the marina. The community boasts a fabulous selection of shopping centers, plazas, malls, and markets, from the Chula Vista Center to the historic Third Avenue. Experience great year-round weather while living amongst the coastline and mountains. Our residents take delight in the multi-culture atmosphere and the endless community activities and attractions. The community has spacious newly transformed units, large spacious walk-in closets, mirror closet doors, fully equipped kitchens with modern appliances, satin nickel ceiling fans, extensive private balconies and patios, on-site laundry facility, and friendly on-site Staff with full-time emergency Maintenance to meet all your maintenance needs. 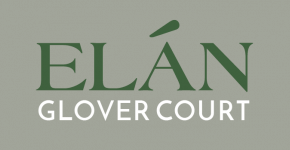 Elan Glover Court welcomes cats and dogs; please see our pet policy as some restrictions may apply. You'll feel right at home at Elan Glover Court. We are conveniently located near Interstate 5 and 805 and Highway 54. We are minutes away from 32nd Street Naval Base, Downtown San Diego, Balboa Park, Petco Park, Gaslamp Quarter, Seaport Village, and the world-famous San Diego Zoo. Enjoy major retail shopping and dining at the Westfield Plaza Bonita, experience the excitement and energy of a concert at the Cricket Wireless Amphitheatre, cool off at Knott's Soak City, or rub elbows with Team USA's best at the Olympic Training Center. Come get into the spirit of hospitality at Elan Glover Court.